From Good Friday to Easter Monday, Backsberg Estate Cellars has lined up a colorful assortment of events that will fulfil all your wine and hot cross bun dreams. From Friday 30 March to Monday 2 April, decadent Easter-themed picnics and pairings will be available all weekend on the farm. Picnic baskets (available from 12h00 until 16h00) are R400 and serve two persons (R200 per person sharing). From hot cross buns to pickled fish to chocolate truffles and berry Pavlova – this basket will give the Easter Bunny a run for his money. Kiddies baskets are available at R185 and serve two children. 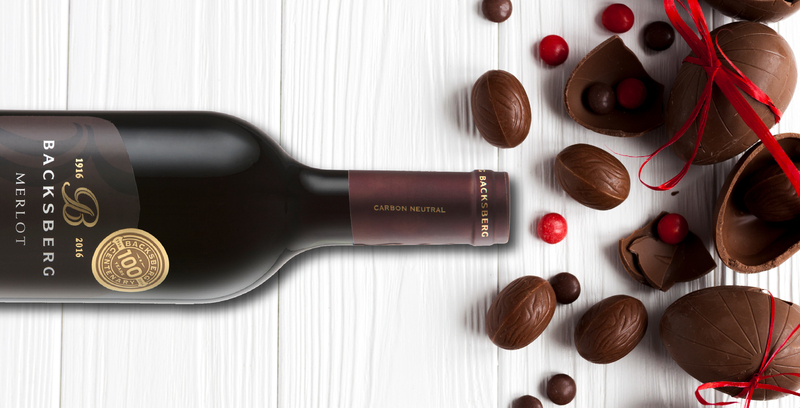 As for the wine pairings, they are just R95 per person and include Backsberg’s Sonop Chardonnay, Pinotage, Pumphouse Shiraz and Sydney Back Brandy all paired with delectable Easter delights such as cinnamon fudge and dark chocolate tart squares. Come Easter Sunday, Backsberg will be plating up an Easter feast of Lamb on the Spit and other seasonal traditions such as pickled fish, spinach and feta phyllo parcels, Malva Pudding and Mascarpone Cake. Easter Sunday Lunch will be served from 12h00 until 16h00 and is R275 per person or R100 for children under the age of twelve. For fun-filled Easter weekend activities suitable for the whole family, Backsberg is the place to be.